Once I graduated, I moved back home to Sussex to start looking for a career in earth sciences. 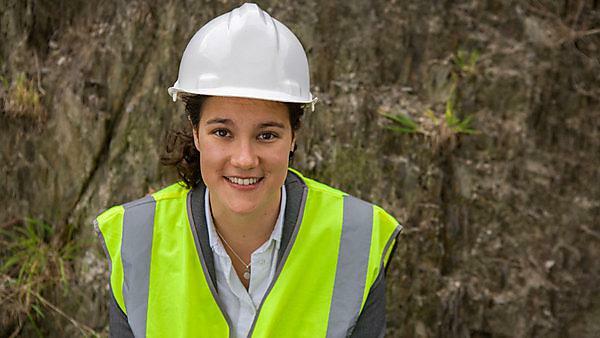 I always had a keen interest in engineering geology and so I endeavoured to start a role as a Junior Engineering Geologist or Geotechnical Engineer. I probably applied for around 35 to 50 roles across the UK from large construction consultancies to small site investigation contractors with no luck for some time. I took up part time work in a local restaurant whilst I continued my search and eventually I applied for a job with London Underground undertaking a three month placement within their Document Control department, archiving and cataloguing all of the hard copy engineering documents for the Infrastructure Delivery Group. It wasn't the most direct route into the engineering industry I thought I would have, but I knew that it would give me a good opportunity to gain knowledge of how civil engineering projects are delivered, and also provide invaluable work experience in a world class organisation. After six months, I applied for the role of Assistant Engineer as part of the Earth Structures team. Within this I was able to directly use my degree as part of my day job. The role included asset management for the ~450 earth structures (cuttings and embankments) on the Jubilee, Northern and Piccadilly Lines, subsequent analysis into the condition, and potential risk of movement (landslip). This also included site walkovers, inspections, data collection, supervision of ground investigations, instrumentation, installation, and the supervision of construction works. I also prepare analytical reports and other engineering and construction documentation. One year into this role I undertook a six month secondment as an Assistant Project Manager on construction projects of various sizes, and I have now taken on the permanent position of Assistant Project Manager and Acting Project Manager on various multi-discipline projects of values over £1m. The most difficult thing was finding my first relevant role. Being willing to move away from the geosciences so early in my career was a risk for me; however, it was the right one in that I was able to find a route into my engineering role. Drawing on prior experience and key skills gained through field work and my dissertation project as examples, I was able to demonstrate key skills that were transferable into multiple roles from the outset. All engineering sites are genuinely exciting as there is such a buzz about them, especially when you are constrained to a time limit – such as working on the underground. Engineering shifts are usually only four hours long (after the last train and before the first train of service) and so it is always all-hands-on-deck to get the most out of the time we have. The most exciting site I have been on was the Crossrail site at Bond Street, where I was able to see the newly excavated tunnel and station. Seeing newly built underground infrastructure is very exciting. If I could, I would have undertaken further study to gain my MSc in either engineering geology or mining geology in the years immediately after completing my BSc, and perhaps progressed to complete a PhD. However, this may be something I look to do in the future. If there is the option to carry on your studies and to do an MSc I would suggest that. It is very competitive in this industry, so anything to give you an edge is a bonus. Work experience is crucial, so any part-time work, volunteering, or shadowing in a company to give you some experience is also a definite bonus. You make your own luck. Don’t give up looking for the right job after rejection for similar roles. Be persistent and keep trying. Always ask for advice from people in industry. Explore different routes into your desired role, and try not to rely on graduate schemes alone. It has to be the various field trips I was able to go on with my course. One of the best was the five weeks spent geological mapping in the Swiss Alps. The mountain hut we stayed in was a day’s hike from the nearest town – talk about secluded.